lawnturf grasses vary so much. Choosing the right grass for your lawn depends on a few factors. See our guide here. What kind of lawnturf? OK, you’re all set to create a fabulous new lawn and you’ve made the sensible decision not only to buy rollout lawntuf for an instant lawn, you’ve also decided to use Ireland’s leading supplier – Summerhill Lawns. So far so good. But maybe you might still need to ask yourself some questions so that you’ll be able to make an informed choice about the type of grass you need. 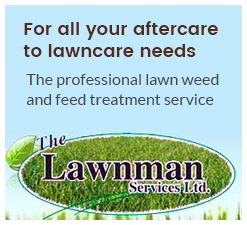 Ask yourself firstly about how much wear and tear the lawn is going to take. Do you need it to be really resilient to punishment and stand up to anything the family and the pets can dish out? Or do you just want a lawn that looks great but which people won’t actually use very much. Next, you need to think about maintenance. How often are you planning to mow it and how much time have you got to put into looking after it? Are you going to be using a ride-on, a push mower, a flymo or a motor mower? If you conclude that you need a hardwearing lawn that will be used a lot but which still need to look good, try our Premium Landscape lawnturf. This is strong and hardy with a vibrant, year-round colour – great for the Irish climate. You might, on the other hand, want a grass that you don’t have to spend a lot of time looking after. If so, it will make sense for you to choose our Low Grow lawnturf, which can be laid all year round, except when it’s frosty or snowy. If your lawn is just going to be looked at and not really used, go for our ornamental lawnturf. With its fine leaves and dense sward, this grass has really exceptional fineness and great, all-round durability. It will last a long time and come up looking good year after year. So there are some choice for you. If you can’t decide, don’t worry. Just call us and we will advise.